I love Burritos and one of my favourite meals to eat quickly on the go. 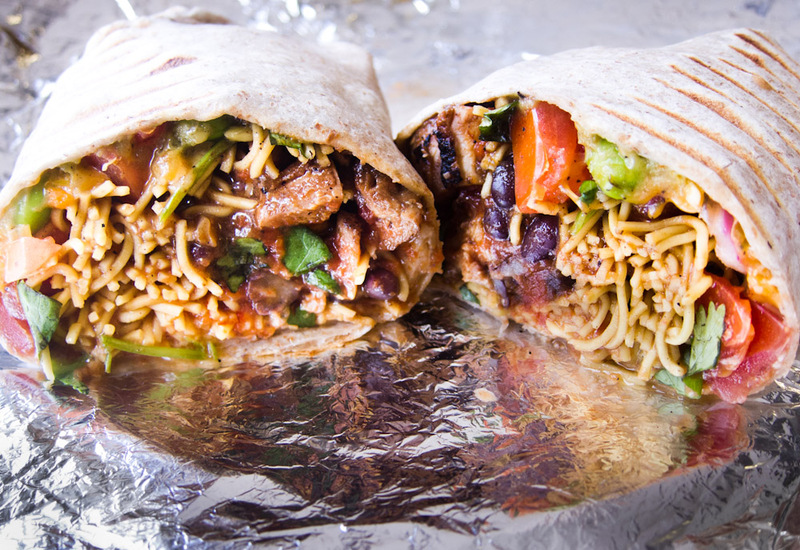 Toronto has a lot of burrito options, many often have their own special ingredients or variants. I’m often ordering with my wife or a friend so I’ve created some of my favourite Toronto burrito orders. Chino Loco’s is still my favourite burrito and the best burrito in Toronto. I love the Cantonese noodles + Jerk Chicken special. Increasingly I’m getting a Burrito bowl or Naked burrito. It’s not as easy to eat but often the wraps are carp heavy and I feel like I’m eating a salad… with spicy meat and lots of beans.